We depart at 09:00 for the Istanbul City Tour. You will start with the ancient Hippodrome, which was the scene of chariot races and the three monuments: the Obelisk of Theodosius, the bronze Serpentine Column and the Column of Constantine. 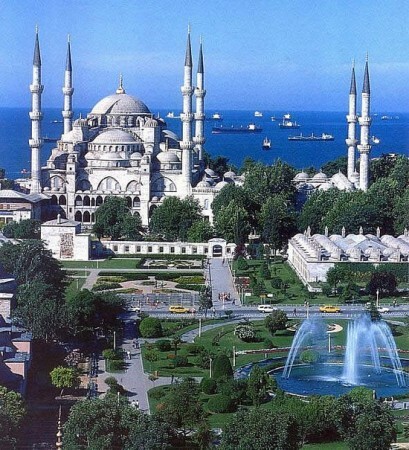 We will then continue to the Sultanahmet Mosque across from St. Sophia built in the 16th century by the architect Mehmet. It is also known as the Blue Mosque because of its magnificent interior decoration of blue Iznik tiles. Then arrive at our last stop which is the famous Hagia Sophia. This ancient basilica, built by Constantine the Great in the 4th century and reconstructed by Justinian in the 6th century, is one of the architectural marvels of all time. After the tour you have the option to experience The Bosphorus Cruise. You will have the chance to enjoy magnificent views of the Bosphorus which is connecting Asia to Europe. The rest of the evening is you're to enjoy Istanbul. After your breakfast you will be picked up from your hotel/hostel and join your group and depart for Canakkale. The group will arrive in Eceabat at noon and begin the fully guided Gallipoli tour. Visiting Kabatepe Museum, ANZAC Cove, Lone Pine Australian Memorial, Johnston 's Jolly, The Nek and Chunuk Bair New Zealand memorial. During the tour there will be a lunch break. Late in the afternoon we will arrive in Canakkale. Check out the hotel. You are free today. You can rest at the hotel or go to shopping in the City. This evening we make plans to depart for our overnight trip to Istanbul by bus (12 Hour drive). 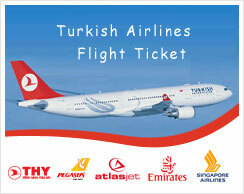 If you dont like to goto buy bus then paid Euro: Euro:80.00 extra the we can book you with domestic flight. Only one hour flight. We hope your tour was a memorable one and we look forward to seeing you in the future on another MUSKARA Turkey Tour. Have a safe trip back home and thanks for choosing MUSKARA TRAVEL AGENCY Turkey.